The year I spent as a full-time wannabe rock star. 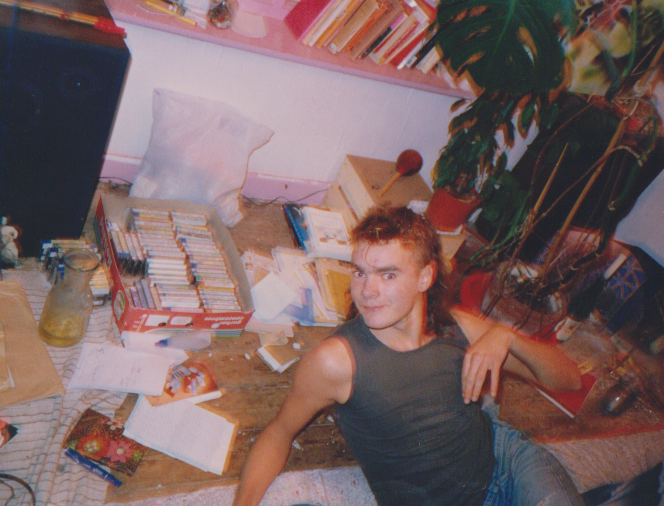 It was 1985, I was twenty years old and just back from nine months volunteering in India. I'd decided not to go to university, but instead to try my luck as a rock star, all I needed was a band. At first I tried answering adds in the musicians wanted section of Melody Maker, I must have sent off several applications, but only got one audition with a very odd band from South London with a female vocalist who screamed over a monotonous bass and drums. They wanted a flamenco guitar to go with it, and I was plainly not suitable. So that summer I sat around at St. Julians getting a little bored and not really knowing what to do with myself. My friend, Jim Green, was at the University of East Anglia in Norwich. He was living in a council house in Beaching Road with a pig sign on the front bay above the window, rented by Mel, a single parent he knew. She seemed to have a pretty much open-house policy, and there were a number of people living there on and off. I visited Jim a few times and eventually decided not to go home. Nobody seemed to mind that I'd just started sleeping on a spare mattress in one of the bedrooms. I was probably tolerated because it was the summer holidays and one or two of the student residents were away. The place had a very 80's hippie vibe with everyone wearing baggy multi-coloured knitwear and sporting mullet hairstyles. I got a job at a wholefood shop and co-operative in town. It was very much in the hippie Beaching Rd vibe and a precursor of today's artisan food movement. All the produce was kept in sacks and tubs around the shop and customers would come in with their own containers into which we would measure out meusli, nuts or dried fruit. All the residents of Beaching Rd were customers. At the time it was totally unsuitable for me. I had no interest in food and found the days dragged tediously. The whole place was very worthy, but had a stuck-up politically correct atmosphere and you had to be very careful about what you said. 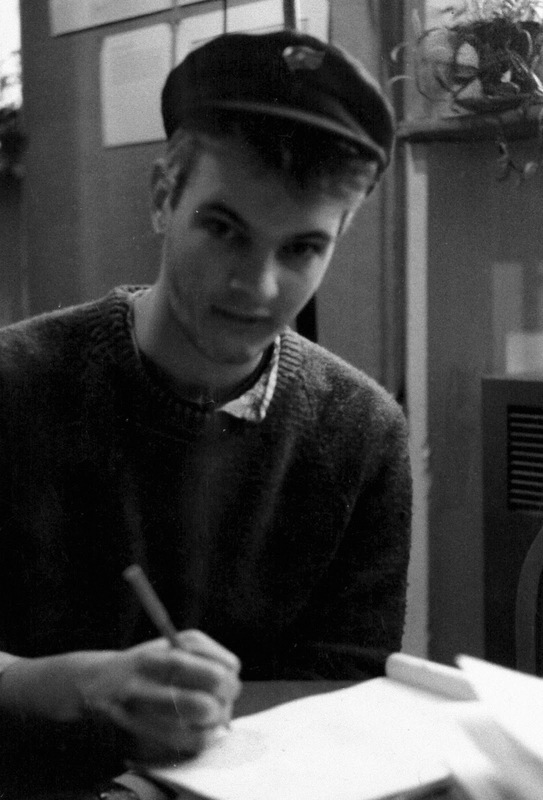 After a short time, my lack of enthusiasm was clear and I was asked to leave, so I did what all aspiring musicians do and signed on to the dole to get a government funded kick-off for my career in music. Later on I joined a back-to-work program with Keep Britain Tidy which required me to attend the office on Mondays, for which my allowance was doubled. We did various little projects to try an encourage the residents of Norwich not to litter, including a rap which I put together with another aspiring musician on the scheme. When the 1985 university year began in September, I accompanied Jim to the Student Union faire. He thought it would be a good place for me to find a band. So, following his advice, I stopped off at the rock-soc and almost immediately got talking to tall girl in leathers with long black hair. Her name was Helen O'Connor and her band, The Decadent Herbs, had recently lost their lead guitarist. Helen was the lead vocalist, Eddie Antoniak the bassist, Daniel on rhythm guitar and there was a drummer who's name I can't remember. I immediately signed up and set to work learning their set list. It soon turned out that the departed lead guitarist was very much the band leader, so I fell easily into that role and soon started to introduce my own compositions. Eddie did most of the actual management work. He would organise gigs and send our tapes off to various places hoping to drum up interest. We would meet up a couple of times a week, whenever we could fit a rehearsal around the other four member's study commitments, and every now and then Eddie would announce that he'd signed us up for a gig somewhere. I can't remember what the first gig I played was, perhaps an event at the student residences, some converted barracks on the opposite side of town from the main campus. There was a large hall there adjoining a huge open bar and the whole place seemed to be one non-stop drinking and partying session. Our earliest attempt at recording was done at the university's studios. A student was recording bands for a project, so we signed up to be one of his guinea pigs. He was a nice guy, but had a very scientific and sterile approach which really showed up our deficiencies as a band. The clear and clinical recording made our poor drummer sound awful, so we soon started looking for a replacement. Soon enough, Helen came across a new student, Graeme 'Toby' Ferris, who was looking for a slot as a drummer in a university band. He was a little chap with long curly hair from the Shetland Islands with the thickest Scottish accent I'd ever encountered. The main problem we faced at first was simply understanding what he said. Helen set up a rehearsal and we were almost immediately blown away by how good he was. He was definitely the best drummer I'd had a chance to play with up to that point. Ex-drummer seemed not to take being sacked too badly, he even drove us around for a while which was nice since one of the main arguments against sacking him was a lack of alternative transport. By now I'd been kicked out of Beaching Road with the return of the students and found a room to rent in a little two-up two-down terraced house in Esdelle St. The only other occupant was Clint West, a dark, good looking chap from Ipswich. He'd had bad experiences with house sharing in the past and locked the door of his room whenever he went out, but we soon became good friends. Helen moved into a house nearby with some fellow students so we were able to get together for song writing sessions on a regular basis. We became good friends and often hung out together. Eddie also lived close by at Mary Chapman Court, the student residences on Duke St where I was a regular visitor. One day I arrived to find him ironing his underpants which I found very amusing. Despite his mohican and love of punk, he was always meticulously dressed. He was a very interesting character. Both his parents were Polish and he often described himself as such. I loved his ironic sense of humour and vast store of proverbs and sayings. I was insufferably arrogant at that time and he and the rest of the band were heroically tolerant putting up with my petulant and demanding ways. My life was very much bound up with the university. I often said that I had the benefit of a university social life without having to do any studying. Clint also introduced me to his circle of friends and soon Esdelle Street became a regular drop-in place for a mixture of students and locals. At one point I had a project to photograph everyone who came through the back door. I've still got the album of black-and-white photographs showing various people who's names I've mostly forgotten. Members of various local bands, friends of Clint's, various student friends. We'd all meet up at events at the university and pubs and clubs around town. My time was spent almost wholly just hanging out, with a bit of song-writing, rehearsing and the occasional gig every now and then. A typical night would see me dropping in at Mary Chapman Court, seeing what was happening and then heading to one of our regular pubs and maybe a local band's gig. Particular gigs I remember from this time include the Norwich Labour club, they seemed to always need a band for a fund raising effort. Not all of them were well attended, and I remember playing to an empty room one time. "Ah well, it's a free rehearsal", said Eddie. A number of pubs also had regular band nights. Not all of them were really suited as music venues. There was one with a basement cavern made of stone arches, the sound of a cranked up rock band just echoed insanely, it was just huge mush of sound with almost no definition. The best gigs were always the events at the university. The turnout was usually excellent and they had professional PA systems with a dedicated guy on the mixing desk. The presence of Jim and I in Norwich started to attract other migrants from Sevenoaks and Southend. Jim's sister Cathy split up with my brother Sim, dropped out of her course at Kent University and moved into Beaching Rd. She got a job in a health food shop on Magdalen St and we'd often meet for lunch and eat her unsold sandwiches in the little garden by the river off Elm Hill. Another favourite haunt was the cathedral coffee shop that looked out over it's beautiful lush lawns. Sim decided to move to Norwich with his friend Pete Tutton. They were also keen to start a band. Sim allowed me to play guitar for them while they got started, but only on sufferance while they looked for a permanent recruit. Soon they found a drummer, also called Pete and Murmur Troop was formed. I was only with them long enough to play their first gig until the third Pete joined, an excellent guitarist and a fellow student of Eddie's at Mary Chapman Court. We often said that Sim should just give in and change his name to Pete as well, so that the band could be called more sensibly, 'The Petes'. They were all excellent musicians, Murmur Troop was a blisteringly good combo and utterly blew most of the other Norwich bands out of the water. One song 'Tropicana South Coast', really impressed me and I always thought it should have been on Top of the Pops. I'd been collecting guitar gear since I'd started playing in my mid-teens. One summer I'd spent working in the bar at St. Julians had been entirely dedicated to saving up for an Elite Stratocaster. That guitar is actually now considered a bit of dog from Fender's 80's wasted years, but at the time it was my pride and joy. I also had a lovely Marshall 50 watt dual channel combo, given to me by my dad for a combined 18th Christmas and Birthday present, and an impressive pedal board with a digital delay, wah and several other tasty bits of kit. I'd brought it all up to Norwich along with my Hi-Fi and my entire 200 plus album record collection featuring an almost complete sample of British 70's progressive rock. The Decadent Herbs were booked to play at an event at the student's union. I don't remember much about the gig itself, but there was party afterwards that everyone was going to. One of Helen's friends was driving our stuff around that night, and he too was going to the party so we loaded all our kit in the back of his van and locked it up. Eddie was the only one who insisted on taking his bass with him, and Toby's drums must have gone home by another route. I stayed at the party until late and then staggered back to Esdelle St. I was woken in the middle of the next morning by Eddie and Helen's driver friend. They looked pretty grim, and after apologising in advance, told me that all the kit had been stolen from the back of the van. There was nothing we could do about it, he wasn't insured for contents, and there was no way I was going to get a penniless student to fork out for a new amp and guitar. In any case, he could well have argued that we were leaving the kit in his van at our own risk. Luckily Eddie still had his bass, but all my stuff was gone. Over the next few weeks I sold most of my record collection and got together enough money to buy an Aria hollow-body guitar, it was actually quite a nice piece for the price. 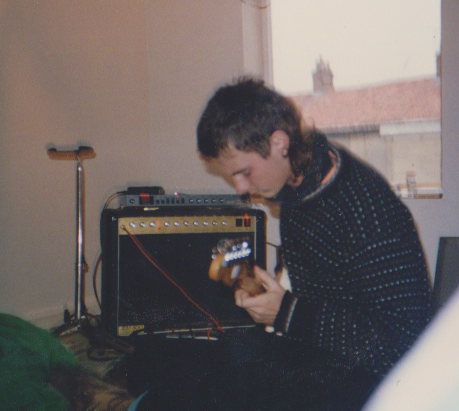 For any gig after that I had to negotiate the loan of an amp, but it never seemed to be too much of a problem. Every year the university held 'The Turgid Lemmings' contest, a talent night, where comedians, and acts of all kinds could get up on stage and try their luck in front of the judges. We planned a stage invasion. The Decadent Herbs were on the bill, but half way through our only song, members of The Bograts, an excuse more for a good story than a real band, made up of old friends from Sevenoaks and Southend, would storm the stage, grab our instruments and launch into the Bograts' famous anthem, 'I Wanna Be Dead', and would play until they turned the electricity off. In the event everything went as planned and the stage got rather crowded as more people joined the fun. Jan and Ali regaled the bemused crowd with the 'I Wanna Be Dead, Dead, Dead' chant while Jim and Toby kept the rhythm going. Eventually the electricity was indeed turned off and a pint poured over Toby's head to get him to stop drumming. Needless to say The Decadent Herbs got nil points and came last in the competition, exactly as planned. Amongst Jim's friends was a pretty girl called Ruth. I think Jim had been seeing her, but for whatever reason it didn't work out. We'd chatted a few times and soon she was a regular visitor at Esdelle St. Before long we started seeing each other, even though I couldn't help feeling that she wasn't really my type. But she seemed to think I was her type, and she was a fun person to be around so our relationship hobbled on for a few weeks without any real enthusiasm on my part. One night I was the cinema with some friends and we got talking with a couple of girls in the row in front of us. They turned out to be students at the university, and after the film we all went for a drink together. One of girls, Jenny, really appealed to me, and as we all seemed to be living within a few streets of each other we headed off home together. I offered coffee to anyone who wanted it, but only Jenny took up my offer. We sat up and talked into the early hours and since she didn't seem inclined to leave, I offered her a bed for the night. I put out a mattress on my bedroom floor and we said goodnight. We spent the next morning together and I promised to call around and see her soon. I was smitten. I saw Jenny regularly after that, but being shy found it hard to make the first move and she didn't show any inclination to start anything either. I broke off with Ruth, who took it very hard at first with lots of tears, but we became friends again later when she took up with Pete, the Murmur Troop guitarist. One night Jenny came to see me unexpectedly, but I was out somewhere. Clint entertained her, and soon they wound up in bed together. I was devastated when I found out, but Clint was apologetic, saying he hadn't realised I was keen on her, so I couldn't really blame him. Soon after Jenny and I got together, but she'd got tired of me by then and we only saw each other a few times before she broke it off. Eddie and Helen had found out that a tiny Norwich recording company was putting together a compilation album of local bands. We could get a slot on the record providing we had a recording for them in time. Eddie soon found a small 8-track recoding studio, Flying Pig, run from a guy in his front room in a village some way out of Norwich. Somehow we arranged transport and trundled out to record our best songs, Black Dogs, a Helen composition, and High Places, one of mine. This time, with our awesome new drummer, and the relaxed and encouraging atmosphere of the tiny studio, the recoding was much more successful. Black Dogs found its way on to the compilation album, '7 Deadly Sins, 14 Deadly Songs', and we celebrated our first and only appearance on vinyl. I heard a rumour later that John Peel had played every track off the record, so we must have had our three minutes of fame on radio one, unfortunately I missed it. I still have two copies of this record in its green and black sleeve with our youthful faces, a collage put together by Helen after a failed photo shoot. Every now and then I dust off my ancient record player and gently lower the needle onto track 13. On the opposite side of the road from our house on Esdelle St lived three students from the university, Sarah, Mani and Claire. Sarah and Claire were both blondes and Mani was a very pretty black girl. They soon became regular visitors to our house and we to theirs. Soon I started seeing Sarah and I think Clint had a brief affair with Mani. Sarah was a bubbly and sharp Londoner and I really enjoyed her company. She invited me down to stay with her mum in Herne Hill. At that time the neighbouring district of Brixton was notorious for rioting and racial violence, so when we arrived at Brixton tube station I was more than a little anxious. As a country boy, I always found big cities somewhat intimidating. Sarah said, "Shall we go the long but safe way, or the short but risky way?" "The safe way", I replied. "No, it takes too long", and she marched off. We walked past a large building with a group of black guys hanging around outside, soon two of them started to jog towards us. I clutched Sarah's hand thinking that we were about to be mugged, until one of them thrust out a piece of paper and said, "Caribbean Night! You gotta come!" I stayed a few days in Herne Hill, including Sarah's 21st birthday party when she dressed in the most glamorous evening dress. Her mum was very welcoming and it was excellent fun just hanging around her large Victorian villa. We went for walks in Brockwell Park and poked around the local shops. Later she stayed with me at St. Julians and I introduced her to the countryside with long walks through Knole to Sevenoaks. Sarah thought I was wasting my time just hanging out in Norwich. "You're a bright guy, you should go to university and then get a serious job, you can always do the band thing on the side." "Maybe, someday", I said. 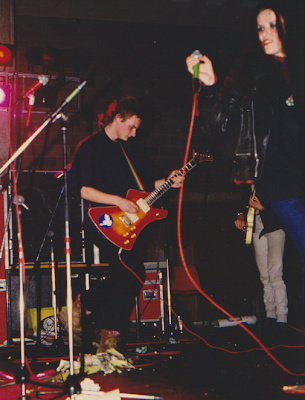 In the summer of 1986 we played a couple of festivals. The first was Norwich's Rainbow Festival. I got us on the bill by conveniently being the person who was organising the bands for the weekend. I'd selflessly put us on first on the Saturday, so we played to a very small audience. The rest of the weekend I struggled to get bands to wind up their sets to schedule and faced quite a lot of angry fans who complained that their favourite band hadn't been allowed an encore. It wasn't all bad though, one guy, a member of a hippie band that had had to wind up their hour long improvisation before it came to its natural conclusion, commended me on my organisation, 'the best organised festival I've been to', he said. The other festival was the Strawberry Fair in Cambridge. I've no recollection of how we managed to get on the bill at one of the small music tents, but one summer weekend we drove down in Toby's van with our gear and spent most of the day lazing around in the sunshine waiting, with no discernible schedule, to go on; this was more typical of festival organisation I suppose. I must have been in a bad mood that day, because I was lying on the grass some way away from the others when a group of three lads walked past me. One of them booted me in the face as he passed, not particularly hard, it might even have been an accident for all I know, but I was livid. I ran back to the others who were sitting around the back of the music tent, but when I tried to get a gang together to confront my assailants, no one was the slightest bit interested. So I simmered alone, but this time with the others where there was safety in numbers. By the time our slot arrived, a sizeable crowd had gathered, and they were well lubricated and in a very good mood. Each song was greeted with an enthusiastic applause and a group of guys danced at the front of the crowd with abandon. We thoroughly enjoyed ourselves and I ended the day much happier. That summer we drove out to Flying Pig studios for a second time, with the ambitious aim of recording a cassette album of several songs that we could send to promoters and record companies. By now Daniel had also been sacked so I multi-tracked my guitar to fill out the sound. Toby also played acoustic on some of the tracks. We were very pleased with the results and I still think that two of the tracks are the best things we did. Weekend Therapy was one of mine, a curious mixture of a Killing Jokesque riff and a Rush-like middle eight, Follow Yourself was composed by Toby, a very nicely balanced ballad, and a sorely missed opportunity for a screaming guitar solo. I was totally against them at the time in a misplaced post-punk anti-guitar-hero kind of way. Eddie did a sterling job of hawking the demo tape around and we secured quite a few gigs based on it. The only nibble of interest we got from the world outside Norwich was a guy from Germany who Eddie had somehow contacted. There was talk of going over there for some gigs, but nothing ever materialised. The tape did however get us on the bill at Richmond Polytechnic with an up-and-coming heavy metal band, Mr Thrud, who later became the moderately successful Little Angles. My old chum Jan Glover was a student at Richmond, he knew the social secretary of the student union well enough to gave him our tape. We hitched hiked down from Norwich, with some of the band only arriving in the nick of time. Because we could only carry our guitars we had to borrow Mr Thrud's entire back-line and drum kit. They were incredibly helpful and pleasant chaps, the guitarist helped me get the most beautiful sound out of his AC-30s. This was obviously good karma, because later at the end of a tour with Van Halen they were given their entire back-line for free. Even though it was just a minor college gig, it felt like the big time for us. There was a changing room and complimentary sandwiches and beer. We just giggled and stuffed our faces. The gig went well and we got a decent reception from the Thrud fans. Afterwards I talked to an A&R man who was checking out the Thrud, and he said we had some promise, but really needed to tighten up our sound and get more professional. Jan arranged for some accommodation, I think most of us slept on his floor. I hung around a few days afterwards and then headed back up to Norwich. When the students came back in the autumn term I saw Sarah for the first time in several months. She was now living back on the campus in her final year. I went to visit her but only found Mani, "She'll be back soon." and soon there out of the window we saw her strolling across the grass. It didn't feel like we were together any more, and she said, "I don't suppose we going out now". We just naturally drifted apart. Around this time I was seriously thinking about alternative careers if the plan-A of being a rock star failed. I started hanging around at Norwich Arts Centre and tried to get involved in a few small film projects, but didn't really have the enthusiasm or any real talent for it. I hung out with a guy called Dave Rose for a while, but he was far more serious about it and I slowly drifted away. I started to think that I should re-apply to university and see where that took me, but I had no idea what to study. During the autumn I met an eccentric Malaysian girl, Rohani. She had a hairstyle like a pineapple, mostly shaved but with a bright green sprout shooting up from the centre. She'd been at Cambridge, but hadn't enjoyed it and decided to transfer to UEA. She really appealed to me. At first things went really well. We got together and I started to spend more and more time hanging around at her house. She cooked some amazingly good food and we talked and talked. After a while though, she started to loose interest, and became more and more taken up with radical feminism. One memorable phrase I remember as we lay in bed: "All heterosexual relationships are inherently oppressive." She didn't tell me who oppressed who, but I got the idea. As the winter of 1986 drew in, I found myself frustrated with the Decadent Herbs and started taking it out on Eddie. He loved to improvise and often came up with very inventive bass lines for my songs, but I found the lack of discipline in rehearsals intensely irritating. Eddie would grin and tell me to chill out and stop taking things so seriously, but that just wound me up more. "I'll be fine on stage, don't worry", he would say, but I wanted a well oiled machine in rehearsal. Eventually I concluded that there was no future for me and the Decadent Herbs and announced my retirement. We decided to do one last gig at a little club on Magdalen St. All our friends turned up and Murmur Troop played support. It was probably the best gig we ever played. The crowd was full of happy friendly faces and the music just flowed. Clint said afterwards that at last we sounded really tight, like a proper band. But I'd made up my mind. Helen, Eddie and Toby recruited a new guitarist, Martin, and the Decadent Herbs struggled on for a few more months. I went to see them at the huge university student union concert hall, it wasn't a happy sight. Martin was very much an 80's punk guitarist with a unique style, but one which was totally unsuited to my prog influenced cross-picking. He had real trouble with some of the songs. I toyed with a couple of other musical experiments, but none of them worked out. My on and off relationship with Rohani seemed to have come to a final end and I decided to quit Norwich and move back to St. Julians. I was going to start getting serious, earn some money, apply for university and get on with life. Rohani came to see me off and help load my stuff into Sim's car and that was the end of my Decadent Herb year. I lost touch with the other members of band and it wasn't until more than twenty years later that Cathy rediscovered Toby on Facebook. He'd followed the call of music to college and then onto an orchestra in California. He's now happily ensconced in Edinburgh and works at the university there. Seal St. Lawrence was my primary school, a tiny church of England school attached to the parish church. Both were built in 1865 by Horace Wilkinson to commemorate his daughter. The building itself looked like a large victorian house facing a tarmac playground. Opposite the school building was a world war two air raid shelter. I vaguely remember it being used for storage. Around the back of the building was a garden which we were expressly forbidden to enter. Across the road was some woodland and then the sports field. We were allowed to play in the woodland during the lunchtime break, it seemed huge to me as a small boy. I remember kicking large mounds of fallen leaves around and endless games of British Bulldog. The playing fields had a football pitch with a running track around it and there were some apparatus on the far side including a frame with ropes, that I never managed to climb to the top of. There were two full time teachers, Mr Hornsby was the the head master and taught the juniors. He’d been a soldier in Burma in WWII and sometimes liked to reminisce about the Burmese. I especially remember him describing the burmese houses which were built on stilts without walls. This made them very cool in the heat apparently. He was a very warm and engaging man and as well as working hard on our tables and writing, we also had a lot of fun. He had a record player and used to play, ‘My old man, said follow the van’, which we’d sing along with with gusto. Mrs Gilbert, a kind and motherly lady, taught the infants. I remember her being especially smiling and reassuring during my years at the school. At the time reading and writing was introduced using a very bizarre scheme called the Initial Teaching Alphabet; a 40 letter modified phonetic roman alphabet. My spelling has never recovered from it. Poor old Mrs Gilbert had to look up the correct spellings of the ITA words herself most of the time, and I always wondered what she really thought of it. A dark haired lady, who’s name I forget used to help with the juniors occasionally, and I think, later on, a young and pretty trainee teacher also helped out. There were only about 40 pupils in the entire school so each year only had a handful of students. My year featured Myself, Colin Lusher, Stephen and Michael Tate, who all lived a short walk from the school in Stone Street, July Morgan, Russell Sherbourne and for a time Nick Mann. Russell was my closest friend towards the end of my time there. His father worked at a school for disruptive children near Seal and I often was taken there to play. I remember his dad was very fond of repairing his Land Rover and I was very impressed with his ability to manually tune the engine. They immigrated to New Zealand a year or so after we finished at St Lawrence and I lost touch with him. Myself, my brother Sim and the Morgan children, Sadie, Kate and Mathew would all be ferried every day from St Julians to the school in our ‘school bus’, usually by John Maskell, our chef and bar man. He liked to pull our legs and had an on-going story about bath used as trough in a field near to the school, that we believed for years he would wash in every morning after dropping us off. The Church of England was of course a major influence at the school. The vicar, who’s name I forget was a regular visitor. Mr Hornsby was a strong christian and I remember him asking us to ignore the first few pages about evolution in our new science textbooks. We went for prayers and hymns at the church next door on a weekly basis. I remember it being freezing in winter. But I was also enchanted with the frequent festivals, I distincly remember the Harvest festival and the Chistmas play we put on. Mr Hornsby was very proud of his 1000 watt bulb that he used to light up the angel Gabrielle. We would have a small glass bottle of milk every morning, which I really enjoyed. Lunch was served downstairs in the dining room by the dinner lady Mrs Ayling. Periodically we would be assembled for a 'nature walk'. I think this was just an excuse for Mr Hornsby to indulge his favorite pastime of strolling in the countryside. There was never any school work associated with the nature walk, we would simply give up lessons for the day and spend the afternoon walking around the beautiful Kentish countryside with Mr Hornsby's dog running alongside. I remember visiting Knole a couple of times and even Ightham Mote. I was the only pupil in my year to pass the eleven-plus exam, I gained a place at Tunbridge Wells Technical High School. Well everyone has to have a top ten tracks listing – especially one for all time. This doesn’t mean that it’s set in stone. No, we can change our top ten tracks for all time weekly if the mood takes us. Of course it’s a very approximate list. Probably the majority would always be there, but some tracks will come and go depending on my mood. The newer numbers and far more likely to be replaced than some of the oldies. OK let’s get going. This one is easy. I guess everyone feels a connection with a certain piece of music and Close to the Edge is a very old and dear friend. I first discovered Yes in my mid teens and soon collected almost the complete discography. Pretty much any authority on Yes will describe the album Close to the Edge as their high point, although Fragile, The Yes Album and Relayer are all excellent and come a very close joint second. Indeed, you can argue – and many do – that Close to Edge is the high point of 70’s British Progressive Rock. Close to the Edge the song is 17 minutes long and filled the whole of the first side of the LP. From the awesome musicianship of the introduction, you know you are in for a treat. The manic Steve Howe guitar solo soon mellows into a statement of the main theme before the main verse and chorus section starts. The verse has a fantastic baroque fugue between the rhythm section and guitar while Rick Wakeman’s organ clicks away a single note morse code, while above it all the trademark Yes harmony vocals sing out. There’s a dream sequence middle section with counterpoint vocals that builds slowly to an enormous Wakeman organ solo before the song winds up with a return to the verse-chorus and a magnificent climax. Together it’s such a rich beautiful and varied piece of music that it’s kept me interested for the whole of my adult life. Truly a masterpiece. If I’d been asked to make this list anytime in my teens I would have picked Echoes as number one. As my friend Iain also described it, ‘this is my happy place’. Everything good about The Floyd comes together in this fantastic piece of music. Totally spaced out but perfectly balanced, it really can send you to another place if you let it. It’s played in the standard Floyd plodding 4/4 and like Close to the Edge took up the whole side of its LP, Echoes. It’s magnificently visual music. As the piece progresses you are transported from an undersea world to a barren wintery hillside before waking to a glorious sunrise and a final ascent to heaven – stoned biblical. My Dad introduced me to The Planets. I was a child obsessed by space. I read everything Arthur C. Clarke ever wrote and spent hours drawing spaceships and reading every detail of the Apollo moon landings. The Planets were my musical accompaniment. Visions from 2001 A Space Odyssey are still how I visualise this piece. It’s haunting melancholy music that juxtaposes something quaintly old fashioned to Titan rising above Saturn’s rings. Many fear Jazz, but I love it, especially when it’s as good as this. 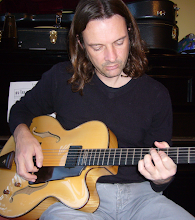 Extrapolation was made in 1969 when John McLaughlin was a rising star of the UK bee bop scene and before he went on to triumph with the Mahavishnu Orchestra. The energy, virtuosity and power unleashed in this track is phenomenal. My favourite piece of guitar music. From John Renbourne’s wonderful LP, Another Monday. It has a medieval feel lute feel to it and a beautiful complex progression in the middle. I couldn’t find a recording of John Renbourne playing it on YouTube, so you’ll just have to take my word for it. More prog. And this is perhaps the epitome of prog: silk kimonos; dual double neck guitars; ridiculous lyrics based on romantic poetry; magnificently pompous and overblown… but what a joy. Neil Peart’s exquisite drumming, with the most awesome fills in rock coming in quick succession, alone makes this a classic. Progtastic! Just to prove that I have listened to something since the 1970’s here are my new found love, Mastodon. Their album Blood Mountain is by far the best metal record I have ever heard. The standard is so high that it’s difficult to pick a single song to represent it, but Capillarian Crest is one of the best. The counterpoint guitars in the middle section are a staggering display of duelling virtuosity, and if Vivaldi had possessed a Les Paul he probably would have sounded something like this. Considering my age, it’s not surprising that I would have a punk band somewhere in my top 10. I find most of my generation’s insistence that Punk was some kind of revolution laughable and I consider it a mostly negative cultural event. The denigration of virtuosity meant that there was a real dearth of good music after the late 70’s and early 80’s. Sure it meant that ‘anyone could have a go’, but it also meant that it was mostly crap. In any case it was a lie, all the best punk bands assembled excellent musicians; just consider The Clash, Souxie and the Banshees and The Stranglers. Staring at the Rude Boys remains my favourite piece of music from that period; a brilliantly powerful blend of reggae feel and rock. OK, that’s enough modern crap. Back to the sixties! I had the honour of growing up in a dysfunctional commune buried in the woodland of deepest Kent and although I’m 20 years too young, the whole 60’s hippie vibe resonates deeply with me. I love to grow my hair long, and although I’m actually rather an intense geeky character, I’ve got a deep seated longing to transition to a naturally stoned, zen-like calm. It’ll never happen, but the closest I get is to listen to the blissed out groove of Wooden Ships. Funny, because the actual lyrics describe the aftermath of a nuclear holocaust … but at least it has a happy ending. Well, ten comes all too quickly. There are a hundred tracks I could easily have chosen for my top 10, and if I stopped for a while and thought about it, I can probably think of many pieces of music that I actually like more than these last few. So it’s random and mostly a reflection of my mood tonight as I write this. This track, Death Whispered a Lullaby, is one of those songs that I simply can’t put down; I feel compelled to listen. Dark, sparse and melancholic with something of Dark Side era Floyd about it. It conjures images of monsters, dark ancient woods, fear and longing, but a beautiful fear. Mikael Åkerfeldt has one of best voices in modern music, which is Ironic when you consider that he’s spent most of his career growling ‘Death Metal’ vocals. So there you have it, my top 10 of all time. I expect I’ll put up a revised list soon after I’ve realised that I’ve changed my mind about all of them.